When you're looking to go on the road, you should always look to camp in comfort. The Starcraft AR-ONE takes RV comfort to an entirely new level, combining all the conveniences you'd hope to see in an RV with a sense of style that's hard to find in a mobile home-away-from-home. The AR-ONE features a fully functioning kitchen, a fantastically comfortable bed, and all the amenities of home. The exterior features a convenient sprayer station, an extendable awning, and even an electric tongue jack. This is one RV that takes the discomfort out of travel, even providing its owners with a large shower that can be accessed without requiring you to tramp through the rest of the RV. 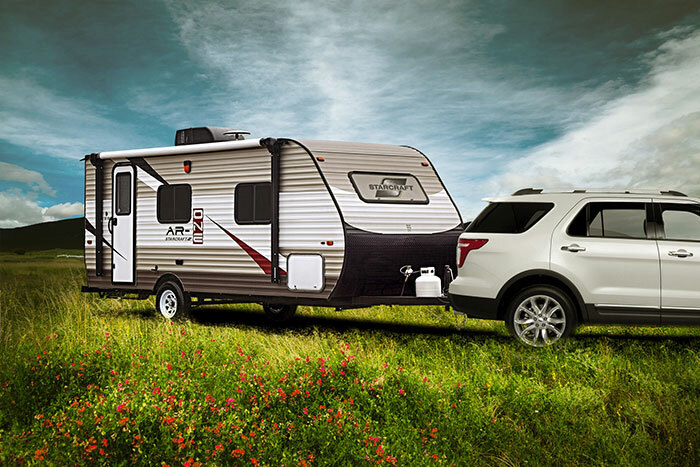 If you're looking for comfort while on the road, the AR-ONE is the RV for you.